Many workplaces use hazardous chemicals. But, it's not always easy to understand the various labeling requirements for these chemicals and the information provided to employees about the hazards these chemicals present. Concern and confusion about these issues increased when OSHA updated its Hazard Communication Standard in 2012 so "HazCom" would more closely align with the Globally Harmonized System (GHS). 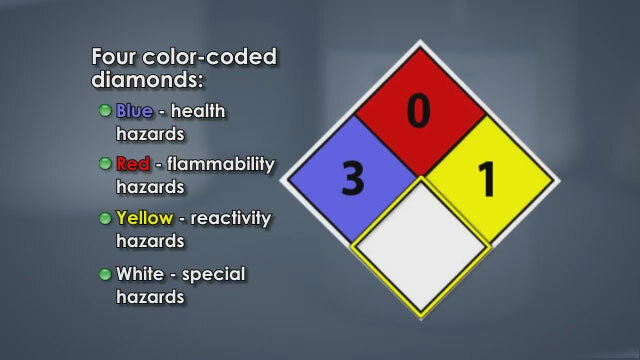 This hazard communication training video provides an overview of the key issues covered in the Hazard Communication Standard, including the 2012 revision to align with GHS, and provides the information that employees need to know about the labeling of hazardous chemicals in all parts of their product cycle. 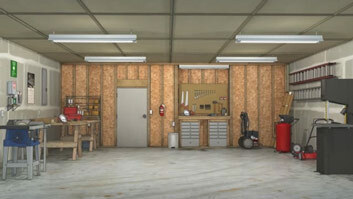 What OSHA standards relate to hazard communication? Hazard Communication 1994 and Hazard Communication 2012 (Hazard Communication 1994 is being phased out). 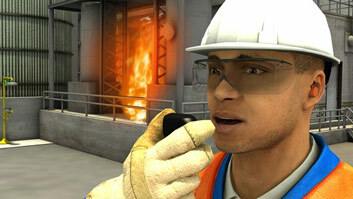 What's the primary difference between Hazard Communication 1994 and Hazard Communication 2012? Hazard Communication 2012 was "aligned" with the United Nation's Globally Harmonized System (GHS). What is the purpose of the Hazard Communication standard? 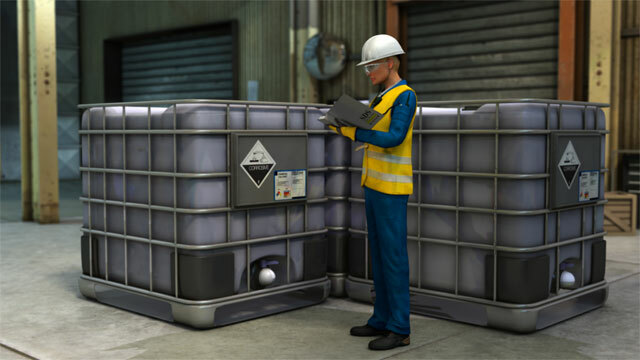 To help workers know the hazards of the chemicals they work with and therefore work with those chemicals safely. 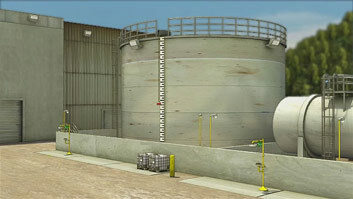 What are the key elements of Hazard Communication 2012? 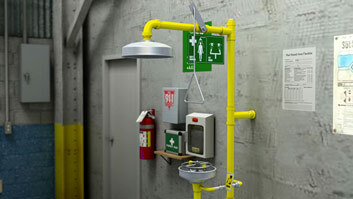 There are labeling requirements, a new safety data sheet, and training requirements. 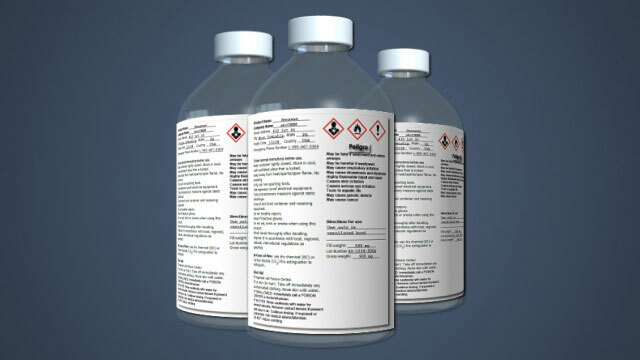 What are the new required GHS-compliant label elements for Hazard Communication 2012? GHS-compliant shipping labels must include a product identifier, supplier identification, precautionary statements, hazard pictograms, signal word, hazard statement. Labels may also include supplemental information. 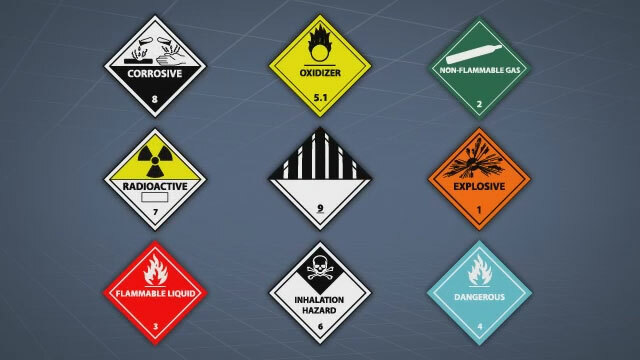 What are the nine GHS-compliant hazard pictograms? Health hazard, flame, exclamation mark (for "less hazardous" health hazards), gas cylinder (gas under pressure), corrosion, exploding bomb (for explosives and self reactives), flame over circle (for oxidizers), skull and crossbones (for acute toxicity), and environment (not mandatory for OSHA regulations but other regulators may require it). There are at least three situations where containers of hazardous chemicals may be labeled. First, at the manufacturer, before the chemical is shipped. These shipping labels are required by OSHA's Hazcom Standard and must include elements called for by the alignment of Hazcom with GHS. Second, the Department of Transportation or DOT requires labeling elements on the outside container when chemicals are being shipped. These labels are known as DOT Hazardous Material/Dangerous Goods Transportation hazard labels or simple DOT transportation labels. And third, when the chemicals have arrived at a workplace the Hazcom standard states that employers may use the original GHS compliance shipping label or any of several alternative workplace labels.